East Tennessee is known for its natural beauty and wildlife. 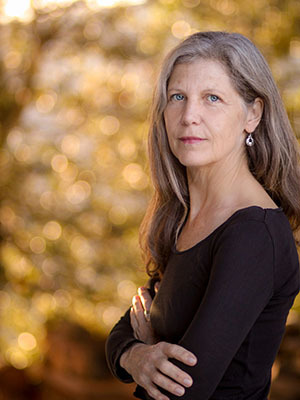 Even the old-growth trees in the region will be getting some notice soon in the form of a famous ecologist and writer coming to East Tennessee State University on Wed. March 21. Dr. Joan Maloof is a writer, ecologist, and conservationist who has studied and worked with plants her entire life. She is a retired professor from the Salisbury University in Maryland where she taught biological sciences and environmental studies. She is founder and chair of the board of the Old-Growth Forest Network in Easton, Maryland, an organization that works to create a network of protected forests across the United States. Additionally, Maloof has authored “Teaching the Trees: Lessons from the Forest,” “Among the Ancients: Adventures in the Eastern Old-Growth Forests” and “Nature’s Temples: The Complex World of Old-Growth Forests,” among numerous other works. Maloof has her own wikipedia page, has been written about in national publications, like the Washington Post, and has her own website. The person responsible for her upcoming visit to Etsu is Dr. Scott Honeycutt, a professor at the university. Both Honeycutt and Dr. Kevin O’Donnell, a professor who has been at ETSU for 23 years, are fans of her writings. O’Donnell provided some backstory on the old-growth forests that were once prominent in the Eastern U.S. and our region. “Most of the Eastern U.S. used to be covered in big trees -the forest primeval- and Appalachia had the greatest trees of all, because of our region’s botanical diversity, long growing season, and high rainfall. Our region is still known worldwide for its trees,” said O’Donnell. According to O’Donnell, ETSU has one of these forests, which could be considered remnants, right in our backyard. This 22-acre forest is called University Woods, and is located south of the Culp Center, on the other side of the railroad bypass. According to O’Donnell the goal of this event is to raise awareness about the University Woods, and help students and community members learn about trees, and about the environmental history of our region. Being both a professor of English in the Department of Literature and Language and director of Environmental Studies, O’Donnell has his own take on the connection between the two subjects. The event will start at 1:40 p.m. with a walk starting at the gazebo at the end of parking lot no. 13. At this time Maloof will give her assessment of the woods. At 7 p.m. she will give her talk in the East Tennessee Room on the third floor of the D.P. Culp University Center. For more information on the event, you can contact O’Donnell at odonell@etsu.edu. For more information on Maloof, you can visit her website at https://www.joanmaloof.com.